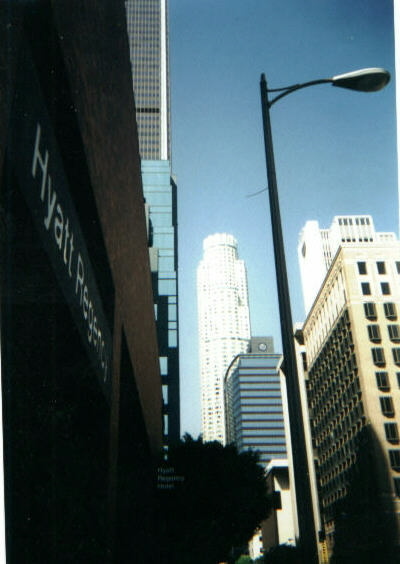 These pics are from downtown LA. As we went there on a saturday, the core of this 15 million inh. metropolis was completely empty except for some homeless people and the staff that were about to record a new Hollywood movie! 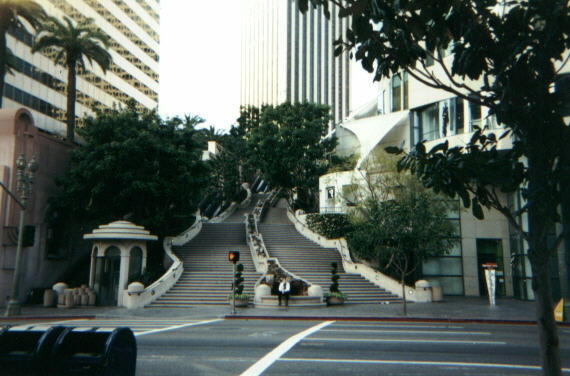 I also drove through downtown and a very futuristic tunnel that went underneath the skyscrapers, that I recognized from some movie. Well, I found the skyscrapers very cool and the streets organized well, but the streets were more shady than I thought and I expected more palms and greenery. 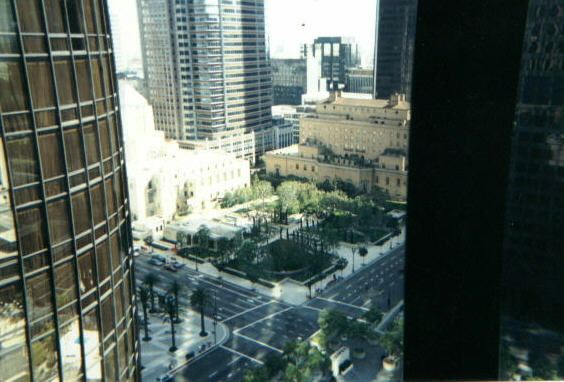 Actually San Diego and Long Beach´s downtowns were as beautiful as I expected LAs downtown to be. 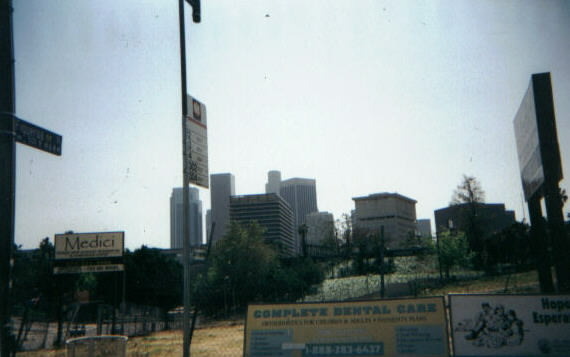 But I found Los Angeles as a whole city much greener than I could imagine with a lot of nature almost everywhere, except for downtown. 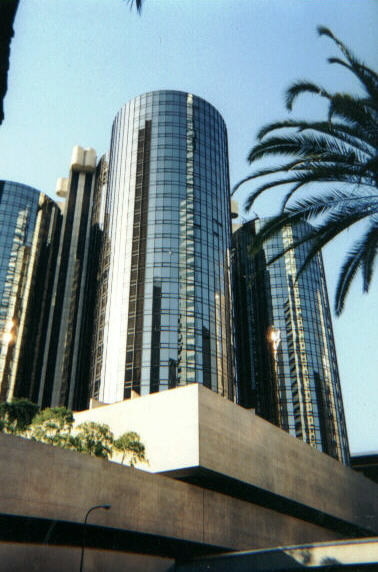 However, the skyscrapers in downtown were impressive, especially The Westin Bonaventure Hotel and its rotating bar. and the historic Biltmore Hotel. In the foreground is the Public Library. 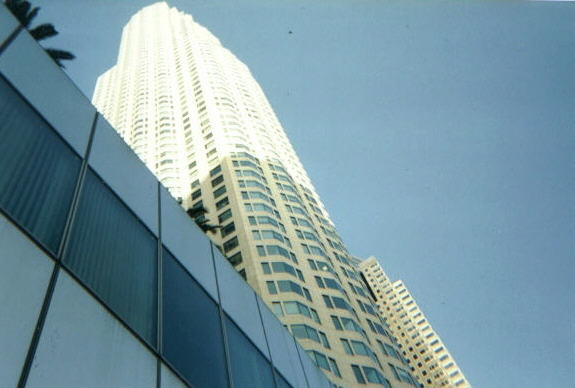 California´s tallest building since 1990 at 310m and 72 floors. Citygroup Center. 191m, 48 floors. 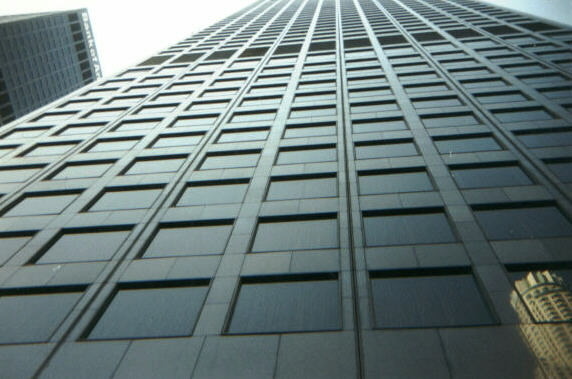 To the left is the 55-story Bank of America Plaza (226m). Grand Street with skyscrapers. 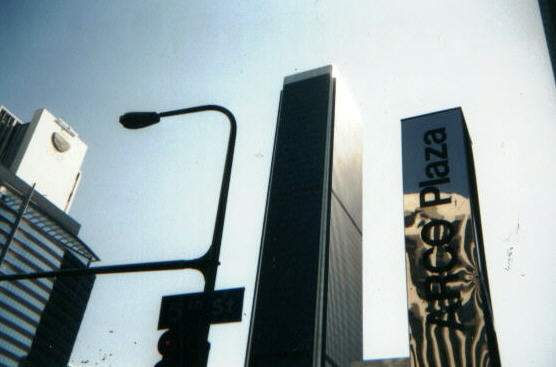 Right: California Plaza. 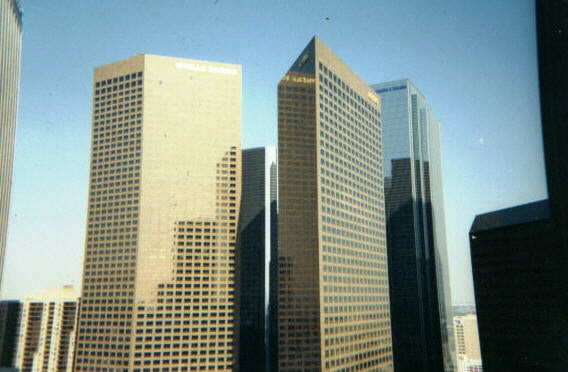 Aon Center or 707 Wilshire Boulevard, California´s tallest building in the 80s. Aon Center, LAs 2nd tallest at 262m and 62 floors. Built in 1974. 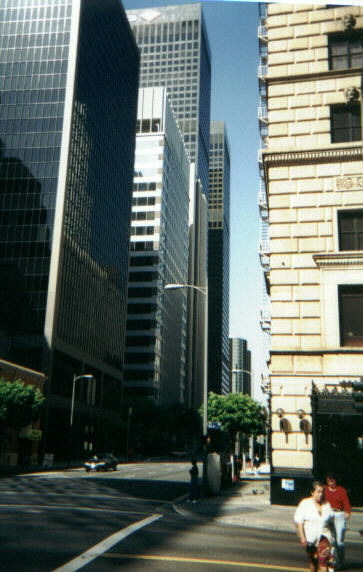 Flower Street with Bank of America and ARCO Tower in the middle. ARCO Towers from the ground. A beautiful spanish stairway opposite from the Public Library. 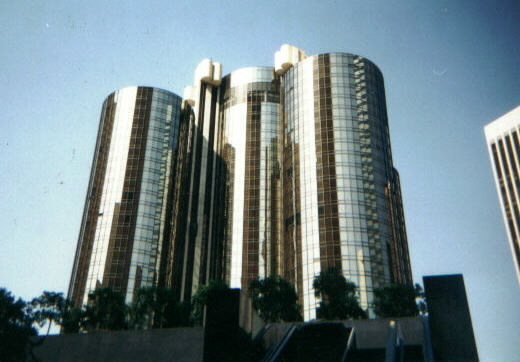 The Westin Bonaventure Hotel, John Portman´s masterpiece with five cylindrical towers from the street level. in movies as In the line of fire and True Lies. The following photos are taken from the rotating bar while me and my friends were having a drink. Looking down towards a wedding outside Public Library. 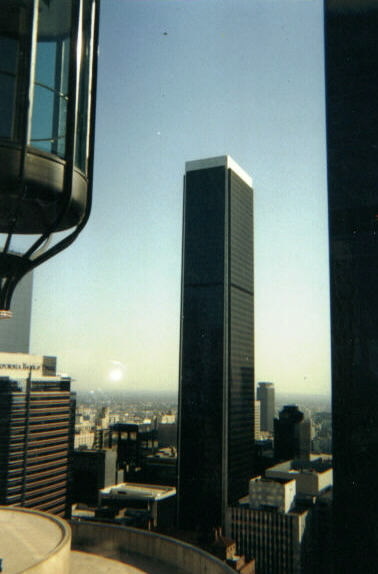 A very cool pic showing an outdoorelevator passing by the rotating restaurant and Aon Center. 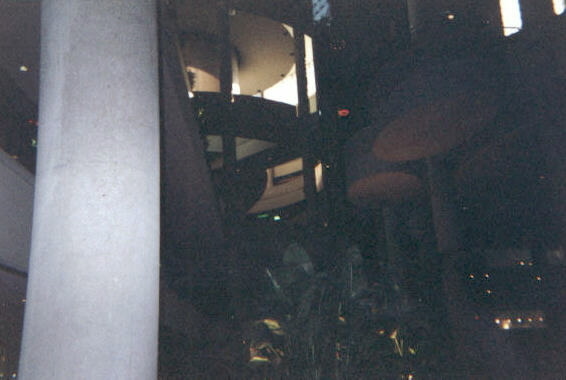 A bad pic on the six-level lobby and shopping galleria. 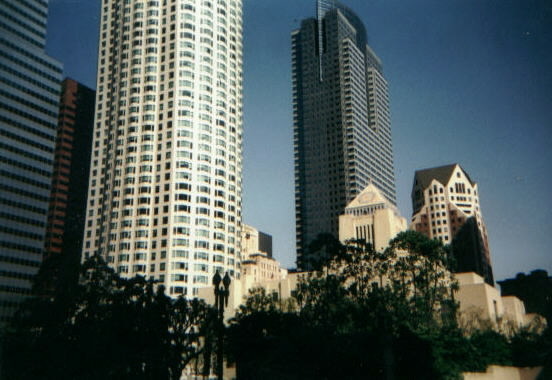 Left: ARCO Tower. 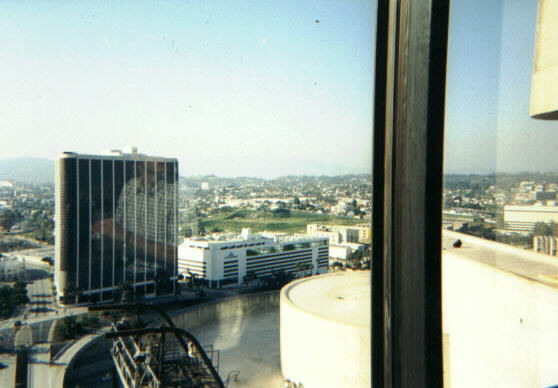 Right: Sanwa Bank Plaza and The Biltmore Hotel. 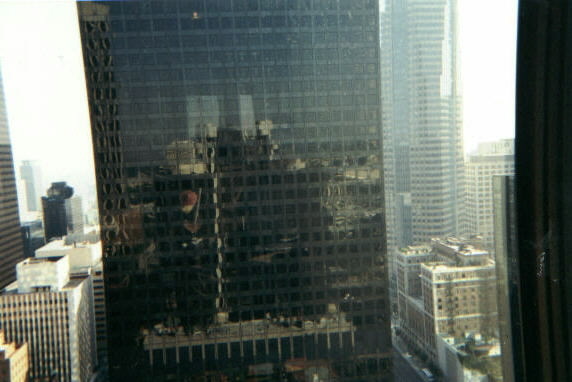 Note the reflection of the hotel in ARCO Tower. 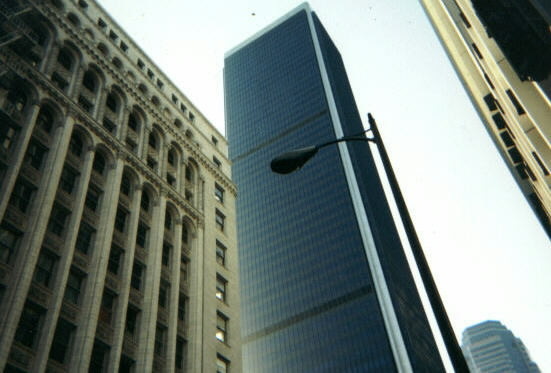 View of the other tower´s roof and Pacific Stock Exchange to the right. 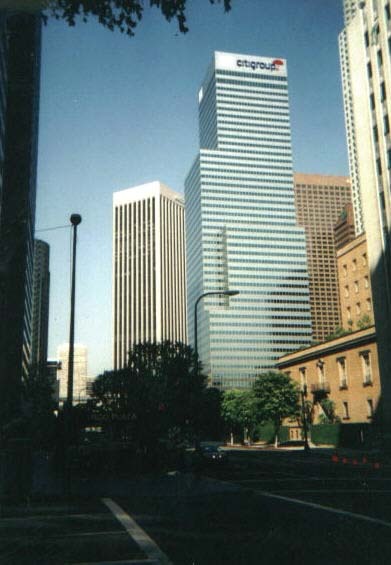 Wells Fargo Center(tallest one is 220m and 54 floors) with 2 California Plaza(3rd tallest, 229m and 52 floors) in the background. 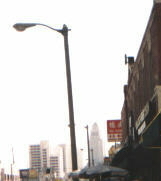 Skyline seen from Chinatown. Looks pretty weak from this angle. 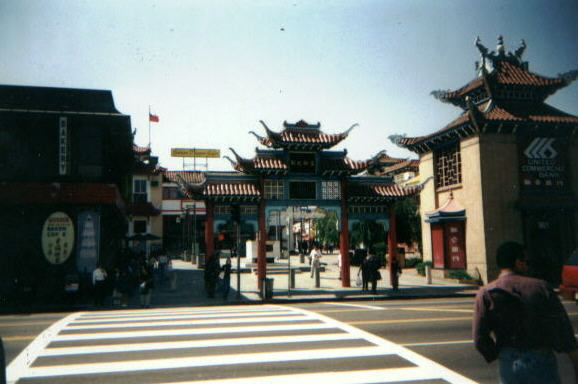 Chinatown-the entrance. 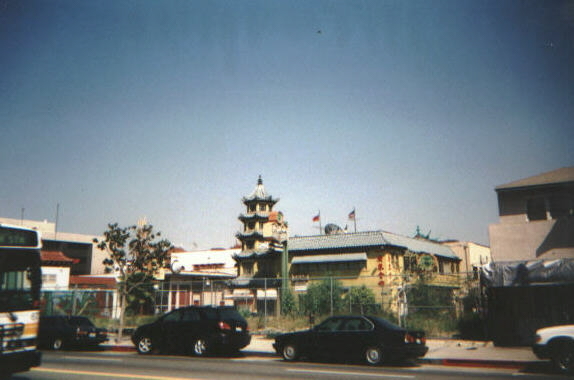 Chinatown is situated next to Downtown and is not as large as SFs Chinatown. 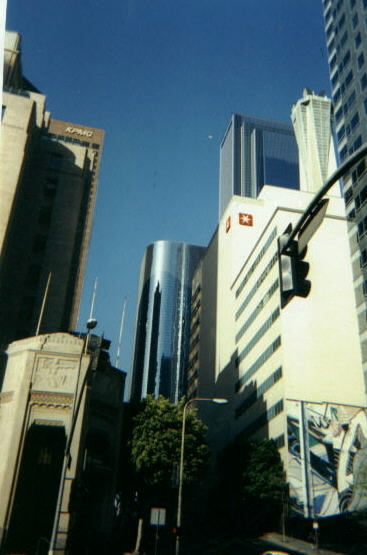 Chinatown with City Hall, Downtown LA:s first skyscraper, in the background´s center.